Saroléa was one of the most famous belgian motorcycle manufacturers installed at Herstal near Liège. 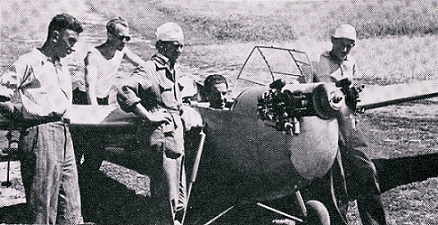 Early thirties, the young engineer Nicolas Lempereur developped a small two cylinders engine for aircraft. After the first successes of the Epervier and Vautour engines, Nicolas Lempereur conceived mid 1936 another engine in the same range of power destined for ultra light aircrafts. BAK II powered by Sarolea "Albatros"
Tipsy S2 powered by Sarolea "Albatros"
It mainly differs from previous engines, having a more streamlined carter and its magnetos placed behind the engine. 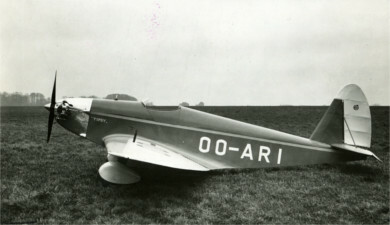 Success was immediate and is was fitted on the Tipsy S2 and the polish motorglider BAK II. Actually, only three Albatros are known to be preserved. B.A.P.A example comes from Poland.